Life has been so busy, I’ve not posted much and I certainly haven’t written any fiction. Resumes, yes, but that’s not the same and different rules apply. We get to use adverbs for starters! So, I decided my heart was aching and I needed to pick up my short story and get it finished. It’s finished and edited by an editor at Writer’s Digest, but that was editing for plot, character, story arc etc. It’s the darned grammar! I mentioned this to one of my fellow writer’s, Tina Mattern, and she sent me to http://www.autocrit.com. Now, I owe her my first-born. Oh, wait, he’s 22 years old, 6’2 and 280 lbs. of solid muscle and I don’t think she wants his grocery bill! She politely declined. Here’s the scoop. Autocrit.com offers a free editing service for the basic stuff including adverbs and overused words. It highlights them in red so you can make corrections, rewrite the sentences etc. Go check it out. I’m utilizing this tool daily! Oh, and let me tell you something really awesome about my buddy who suggested autocrit. Chicken Soup has published 7 stories written by Tina! She is also working on an amazing memoir that makes me cry every time I read a new chapter. Please, go visit Tina at TinaWagnerMattern. She has a wicked sense of humor as well. Her latest short story had the entire writing group laughing. Thank you for liking my blog and You have a likable one also. I have re-blogged you. Have a blessed day. Congrats on completing your novel. 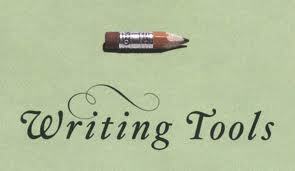 If you need a copy editor check out my blog http://jemsbooks.com. I really like the autocrit and I’m so glad it’s a tool that can help. Thank you so much for the reblog! Thanks for the writing push. I, too, have gotten so busy with “other” writing that my novel is getting cold. Thanks for the useful information. I’ll need to check out Autocrit. Good one Jen. Thanks for the inspiring chat. Does Chicken Soup pay? Yes, I think, don’t make me swear to it, $100 a story. They should have guidelines etc. on their site. Have a great day!! C Soup pays $200 per story and gives the author 10 free books!